SAN FRANCISCO--(BUSINESS WIRE)--Two-time GRAMMY Award winning artist William Patrick Corgan (aka Billy Corgan of the Smashing Pumpkins) previewed today an immersive new VR experience for his new single “Aeronaut” off the recently released solo album “Ogilala.” The project is a collaboration between Corgan and teams at Isobar and Viacom NEXT, which partnered with San Francisco based filmmaker and VR artist Danny Bittman to conceive the virtual world depicted in the production. 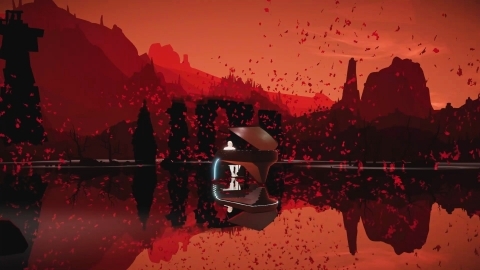 Accompanying the experience is a 2D VR music video released today by BMG Records, produced by Isobar and Viacom NEXT. “Aeronaut” is one of the first to feature a hologram created with Microsoft Mixed Reality Capture technology, used to capture Corgan’s performance in volumetric video, while incorporating innovative technologies from Google and Unity Technologies. This 2D (Web, TV, Mobile, etc) content was created inside the 3D world that was imagined by San Francisco artist and filmmaker, Danny Bittman and brought to life by the joint Viacom NEXT and Isobar team. By capturing Corgan’s three-and-a-half-minute performance in volumetric video at Microsoft’s Mixed Reality Capture Studios, Isobar, Viacom and Bittman, were able to use the Unity creation engine and Tilt Brush to create a world around him. The project is designed for room scale systems, initially for Microsoft’s Mixed Reality headsets, with additional versions for other systems to follow. It will be available to the public in early 2018. William Patrick Corgan is a singer, songwriter, producer, and frontman of celebrated alternative rock band The Smashing Pumpkins. Formed in Chicago, IL in 1988, the band released their heralded debut album Gish in 1991 and found mainstream success with 1993’s 4x multi-platinum Siamese Dream and 1995’s 10x multi-platinum Mellon Collie and the Infinite Sadness. Following the band’s 2000 dissolution, Corgan helmed the alternative rock band Zwan before releasing his debut solo album TheFutureEmbrace and reforming The Smashing Pumpkins in 2005. With over 30 million albums sold, the GRAMMY®, MTV VMA, and American Music Award winning band remains an influential force in alternative rock. Viacom NEXT is working on the future of entertainment. We explore, prototype and develop novel projects with our brands (which include MTV, Nickelodeon, Comedy Central, Paramount Pictures and BET) and with external partners including startups, academics (e.g., MIT, CMU, and major NYC universities via the NYC Media Lab) as well as creators, artists, and musicians. With a focus on Virtual Reality, we are making room-scale interactive music experiences, narrative worlds, games, and exploring live-action capture techniques. Visit us online at http://viacomnext.com. Mr. Corgan’s performance was captured at the Microsoft Mixed Reality Capture Studio in Redmond, WA.